» How will Driverless Vehicles impact our roads? How will Driverless Vehicles impact our roads? 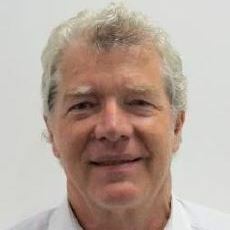 Noel O'Callaghan The Australian Driverless Vehicle Initiative's (ADVI) vision is to accelerate the safe and successful introduction of driverless vehicles to Australia and is supported by over 90 partners from across multiple sectors such as automotive, insurance, transport, logistics etc. as well as local, state and national governments. With its National Centre of Excellence based in Adelaide, ADVI continues to play a key role in positioning Australia and New Zealand amongst countries like Germany, Sweden, Singapore, the Netherlands, the UK and USA, who are pioneering on-road driverless vehicle research and development. ADVI's key role is to help pave the way to achieve early benefits through communicating and nurturing an understanding by the Australian and New Zealand communities and industry on how driverless vehicles can help us enjoy better lives. This is an Engineers Australia event advertised for the interest of TelSoc members. Noel is a Principal Engineer with the Australian Road Research Board (ARRB), having joined the Adelaide office in 2015 after a career spanning over 40 years with the Department for Transport Planning and Infrastructure (DPTI) in South Australia. Noel also has extensive experience in road side barriers and was a member of the Austroads Safety Barrier Assessment Panel from 2006 -15. Since joining ARRB, Noel has continued his involvement in the delivery of numerous workshops around Australia on road design, intersections and roundabouts and various traffic and transport related topics. EA, IET REG, IET, IEEE Members & Students: $10.00, Non-members: $40.